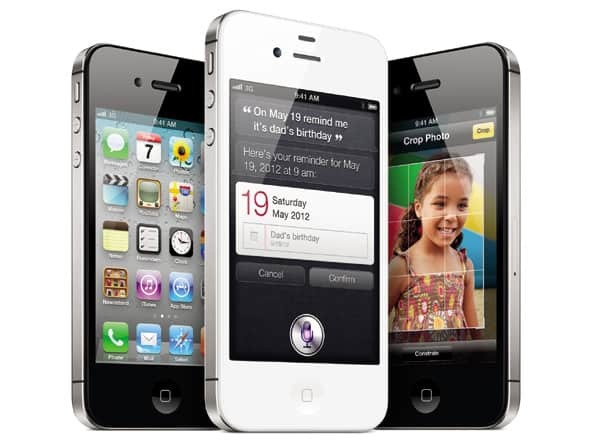 Surprisingly, the new iPhone 4S has the same design and the same construction as its predecessor, Apple denied with this occasion all the speculation about the appearance of a display of 3.7″ or 4″. If at first we are dealing with the same phone launched more than a year ago, the hardware platform and the software package have major improvements. Technical platform is assured of an A5 chipset, similar to that available on the iPad 2. It is composed of a dual-core Cortex-A9 with a frequency of 1 GHz and PowerVR SGX543MP2 graphics, which Apple claims that it is up to seven times stronger than the previous version of iPhone. 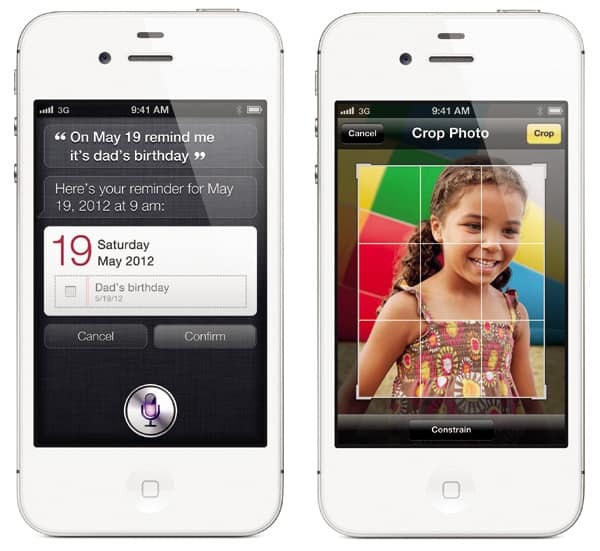 iPhone 4S will be available in three versions of memory: 16 GB, 32 GB, and respectively, 64 GB, the latest version being present for the first time in the iPhone range. Not surprisingly, there is no card slot through which you can expand storage capacity. As we expected, iPhone 4S is not compatible with LTE. Instead, the download speed offered by iPhone 4S through 3G technology has increased from 14.4 Mbps and the upload can be up to 5.8 Mbps. In addition to 3G and other technologies that are already used for smartphones: Wi-Fi 802.11 b/g/n Wi-Fi hotspot, GPRS, EDGE, Bluetooth 2.1, USB 2.0 and GPS with A-GPS system. The camera has also received some interesting upgrades since receiving a 8 MP sensor and video in full-HD 1080p. Images are taken at maximum resolution of 3264×2448 pixels at an interval of only 0.5 seconds of each other (for the first picture, iPhone 4S needs just 1.1 seconds). Video 1080p Full-HD format also have additional functions such as video image stabilization and noise reduction. iPhone 4S comes with improvements in dealing with autonomy. According to official data, autonomy reaches up to 8 hours of talk time in 3G or 2G network 14 hours, 6 hours of browsing on the 3G network or Wi-Fi 9 hours, and 10 hours of video playback.